India Kawasaki Motors Pvt. Ltd., the Indian subsidiary of the Kawasaki Heavy Industries Ltd. Japan has launched Kawasaki Ninza 400 bike yesterday in India. The new bike is the elder sibling of Kawasaki Ninza 300. 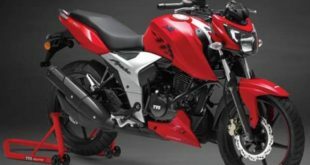 Kawasaki Ninza 400 will be assembled by the company at its Chakan manufacturing plant at Chakan, near Pune in Maharashtra. 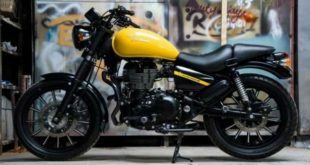 The company has decided to roll out only a limited number of the bikes in India from the Chakan plant. 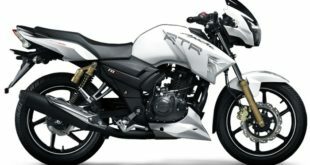 Also only the KRT edition of the bike will be available in India for which the booking has already commenced. The Ninza 400 had made its first public appearance at 2017 EICMA motorcycle show held in Italy. 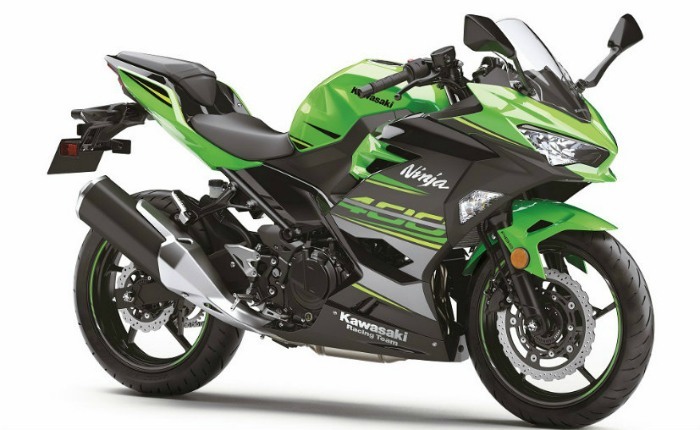 Here is all that you need to know about the Kawasaki Ninza 400 bike. A more sharper looking, new Ninza 400 bike is priced at Rs. 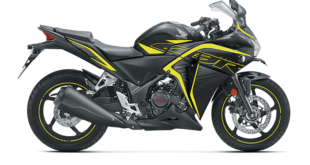 4.69 lakh (ex-show room Delhi) which will be around a lakh rupees costlier than its younger sibling, Kawasaki Ninza 300 bike. The new baby, Ninza 400 has more powerful engine than its it’s 300cc sibling. The styling and the design of the Ninza 400 is inspired by the Kawasaki family’s flagship Ninza H2 and other big bikes in the series. The Kawasaki Ninza 400 bike comes with a 399cc, liquid cooled parallel twin engine which churns out 49 PS power at 10,000 rpm and 38 Nm maximum torque at 8,000 rpm. 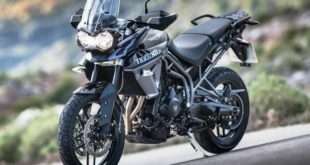 The bike offers six-speed manual gearbox as standard. 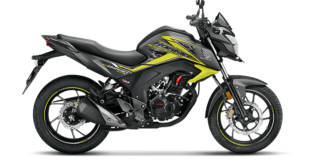 The bike delivers 10 PS more power than the Kawasaki Ninza 300 model which is incidentally is also higher than its key rivals, 7 PS more than Yamaha YZF-R3 and 5.5 PS more than the KTM RC390. The braking duty is performed by 310mm disk brakes on the front wheel while the rear wheel gets 220 mm disc brakes. The front wheel brake 310 mm disk is the largest front disk brake in the segment. The bike also comes with ABS as standard. The front wheel has 41mm telescopic fork suspension whereas the rear gets a monoshock suspension. The Kawasaki Ninza 400 bike uses the steel trellis frame which enhances its riding dynamics. The kerb wight of the Ninza 400 bike at 168 kg is 6 kg lighter than the Kawasaki Ninza 300 bike but gets superior cycle parts as well. Other features of the Kawasaki Ninza 400 bike includes new analogue-digital instrument cluster, LED day time running lights (DRLs), LED tail lamps and a new exhaust canister. The additional accessories such as pillion seat cowl, helmet lock, radiator screen, tank bag and tank pad come as optional add-on. The bike comes with its next generation split headlamp and chin spoilers at the bottom of the front cowl which makes it to stand out in the segment. The Kawasaki Ninza 400 bike will rival with the likes of Benelli 302R, TVS Apache RR 310, Yamaha YZF-R3 and KTM RC390. Also read: Which suits you? A spec comparison of TVS Apache RR 310 vs KTM RC 390 vs HONDA CBR 300R and other rivals! Well! The young enthusiastic riders can look forward for the exciting driving experience with the new Kawasaki Ninza 400 bike and feel the thrill on Indian roads. So, what do you think about the Kawasaki Ninza 400 bikes? Please do write to us at India Autoz and stay tuned. Also read: Will TVS Apache RR 310 Win? Watch Out! These 5 New TVS Bikes are Grabbing Attentions! 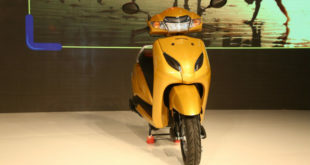 What’s New in Honda Activa 5G Automatic Scooter?